On 10 April 2016 at approximately 03:30 AM IST,[a] the Puttingal Temple in Paravur, Kollam, India, experienced an explosion and fire after firework celebrations went awry. As a result, 111 people were killed and more than 350 were injured, including some with severe burns. The temple and at least 150 houses in the area of the temple were damaged by the blast. According to local reports and eyewitnesses, the explosion and fire were caused by sparks from a firecracker being used in a competitive fireworks display igniting fireworks in a concrete storehouse. The temple did not have permission from Kerala government authorities to conduct a "competitive fireworks display". About 15,000 pilgrims were visiting the temple to mark local Hindu celebrations during the last day of a seven-day festival of the goddess Bhadrakali. On 13 April, in the aftermath of the event, the Kerala High Court banned the display after sunset of sound-emitting firecrackers in all places of worship in the state. This was the second major firework disaster reported in the news within southern India in recent years, after the Sivakasi factory explosion in the state of Tamil Nadu on 5 September 2012. The shrine is administered by a private trust. Temples in southern India often have festivals with displays of fireworks and firecrackers to appease the female deity. Annual competitions are staged across the state of Kerala for the most spectacular displays. In 1952, 68 people were killed after a firecracker explosion at Sabarimala temple. On 10 April 2016, two groups of devotees set off fireworks while thousands participated in the festival at Puttingal temple. The temple's authorities told police that they had verbal permission from the district authorities. On 12 April, they revealed that, due to safety concerns, the temple had been denied permission, but it proceeded due to pressure from the people. The fire took place at approximately 03:30 IST (22:00 UTC) when an explosion occurred in a stash of firecrackers stored in the temple for upcoming Vishu celebrations. The apparent cause of the explosion was a firework, known locally as Amittu, which fell into the stash after being lit during the firework celebrations. The explosion caused the storage building and adjacent office building to collapse leading to most of the casualties. The blast was felt by people living more than a kilometer away from the temple. The Indian Navy dispatched one Dornier Do 228 transport aircraft and two helicopters for rescue transport along with medical teams from Headquarters Southern Naval Command (HQSNC), Indian naval air station located in Kochi. The Indian Air Force, Army and Coast Guard were also involved. The majority of the victims were taken to Thiruvananthapuram Medical College. Prime Minister of India Narendra Modi wrote on Twitter that the accident was "heart-rending and shocking beyond words" and that he was on his way to visit the area later in the afternoon, as was Chief Minister of Kerala, Oommen Chandy. Kerala state home minister Ramesh Chennithala visited the disaster site. Political parties postponed campaigning for the election to the Kerala Legislative Assembly out of respect. Neighbouring Karnataka offered to send a team but was turned down as Kerala apparently had the requirements. Modi announced ₹2 lakh (US$2,800) ex-gratia to the kin of the deceased and ₹50,000 (US$700) to critically injured people. Oommen Chandy announced ex-gratia relief of ₹10 lakh (US$14,000) to relatives of each of those killed in fire tragedy, ₹2 lakh (US$2,800) for seriously injured. In the wake of the disaster, the Kerala Disaster Management Authority decided to re-examine the disaster preparedness of the Thrissur Pooram. The Chief Minister of Kerala, Oommen Chandy said that "Permission was never taken for the storage of fireworks inside the Temple." Based on this incident as a backdrop, a Malayalam film named Kuttanpillayude Sivarathri was released in 2018 starring Suraj Venjaramoodu. ^ a b "Kollam temple fire: Death toll reaches 111, 40 badly wounded". Times of India. Retrieved 12 April 2016. ^ a b c d e Nair, C. Gouridasan; Pereira, Ignatius (10 April 2016). "Live–Kollam temple fire: 106 dead; PM Modi reaches site". The Hindu. Kollam. Archived from the original on 10 April 2016. Retrieved 10 April 2016. ^ Reuters Editorial (12 April 2016). "Indian court bans use of high-decibel crackers after temple fireworks blaze kills 110". Reuters. 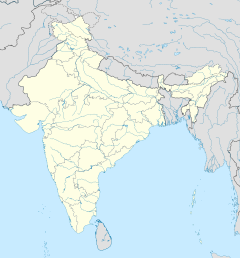 ^ a b "Over 80 dead in temple fire in South India after firecrackers cause 'massive blast'". rt.com. Russia Today. Retrieved 10 April 2016. ^ Vidyadharan, Sovi. "Over 100 Dead, 350 Injured in Kerala Temple Firework Mishap". New Indian Express. Retrieved 12 April 2016. ^ "'Competitive Fireworks' May Have Led To Kollam Temple Fire: 10 Developments". NDTV. Retrieved 10 April 2016. ^ "As it happened: 110 dead in Kerala temple fire, Modi meets CM Chandy". HindustanTimes.com/. Retrieved 11 April 2016. ^ "Kerala HC bans noise-making fireworks between sunrise and sunset". The Indian Express. 13 April 2016. ^ "Sivakasi fire unit mishap: 36 killed; PM, Sonia express grief". Hindustan Times. 6 September 2012. ^ G, Ananthakrishnan (11 April 2016). "Kollam temple fire: Fireworks send concrete missiles flying into homes". ABP News. Retrieved 12 April 2016. ^ a b c Qureshi, Imran; Padanna, Ashraf (11 April 2016). "Puttingal: India's 'temple of fireworks'". BBC News. Retrieved 13 April 2016. ^ a b "Puttingal temple fire: Seven officials detained by police". BBC News. 12 April 2016. Retrieved 13 April 2016. ^ "Scores killed in India as fire breaks out at temple in Kollam". The Guardian. 9 April 2016. ISSN 0261-3077. Retrieved 10 April 2016. ^ "Kerala fire tragedy: Temple ignores ban, fireworks show leaves over 100 dead, 400 injured". The Indian Express. 11 April 2016. Retrieved 11 April 2016. ^ a b c d e f "India Kerala: Temple fireworks blast kills at least 100". BBC News. Retrieved 10 April 2016. ^ "Live updates: 102 die in fireworks blast at Puttingal temple in Kollam, Kerala". ManoramaOnline. Archived from the original on 10 April 2016. Retrieved 10 April 2016. ^ C. Maya (10 April 2016). "Kollam temple fire: Medical College hospital struggles to handle huge influx of victims". The Hindu. Thiruvananthapuram. Retrieved 10 April 2016. ^ "Puttingal temple: Five detained over India fireworks blast". BBC News. 11 April 2016. Retrieved 11 April 2016. ^ @narendramodi (10 April 2016). "Fire at temple in Kollam is heart-rending & shocking beyond words. My thoughts are with families of the deceased & prayers with the injured" (Tweet) – via Twitter. ^ "Kerala Temple Fire 'Heartrending And Shocking', Will Visit Kollam Soon: PM Modi". NDTV. Retrieved 10 April 2016. ^ "Kollam Temple Fire: PM Modi announces ex-gratia of Rs. 2 lakhs, to visit site". The Hindu. 10 April 2016. ISSN 0971-751X. Retrieved 10 April 2016. ^ K. S. Sudhi (10 April 2016). "Now, disaster-preparedness of Thrissur Pooram to be reviewed". The Hindu. Kochi. Retrieved 10 April 2016. ^ Vidhi Doshi. "Kerala temple fire leaves scores dead after stray firework sparks blasts". the Guardian. Retrieved 11 April 2016. 24. Inquiry Report of the Fireworks Display Accident on 10.04.2016 at Puttingal Devi Temple Premises,Paravur, Kollam District, Kerala. Inquiry officer - Dr.A.K.Yadav, Joint Chief Controller of Explosives, Chennai. Assessors in Inquiry : Dr.R.Venugopal, Deputy Chief Controller of Explosives, PESO, Hyderabad, Dr.K.B.Radhakrishnan, Professor & Head of the Department of Chemical Engineering, TKM College of Engineering, Kollam, Kerala and Mr.G.M.Reddy, Joint Chief Controller of Explosives, (Retired), PESO. 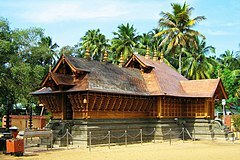 Wikimedia Commons has media related to Paravur temple fire.